We rent tents of many styles and sizes. 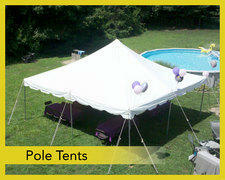 20' wide Pole tents are the standard backyard tent. They must be staked on grass. 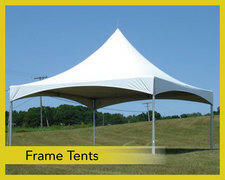 Frame tents, available in 20' and 30' width have no center poles and can be setup on any surface. 40' wide Pole tents are used for weddings and other large events.